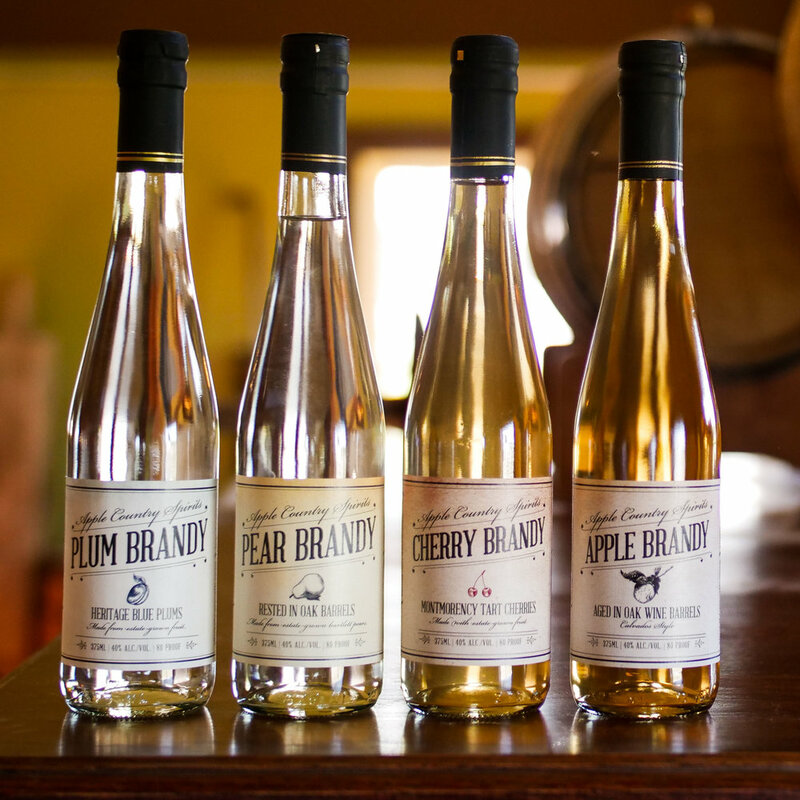 Apple Brandy is aged in used Red Wine Barrels from one of the Finger Lakes better known wineries. It is done in a French Calvados style, representing a blend of over a dozen apple varieties and finished in toasted red wine barrels to offer a completely different mouth feel and finish than most American spirits finished in charred Bourbon Barrels. Plum Brandy is our nod to the little know Slavic spirit, Slivovtiz. It is made with 100% heritage blue plums and fermented using the whole fruit. The final product never touches oak -- instead it is rested in stainless steel or glass for 3-6 months and bottled at 80 proof. It smells strongly of plum and tastes like blue if colors had taste (or so our distiller says). Pear Brandy started as a nod to Poire Williams, an unaged Pear Brandy that is made exclusively of the Williams (Bartlett) Pear. While the unaged version was good, after some experimentation it was decided to add a new twist to the old classic by letting the spirit rest in barrels for a little over 6 months. 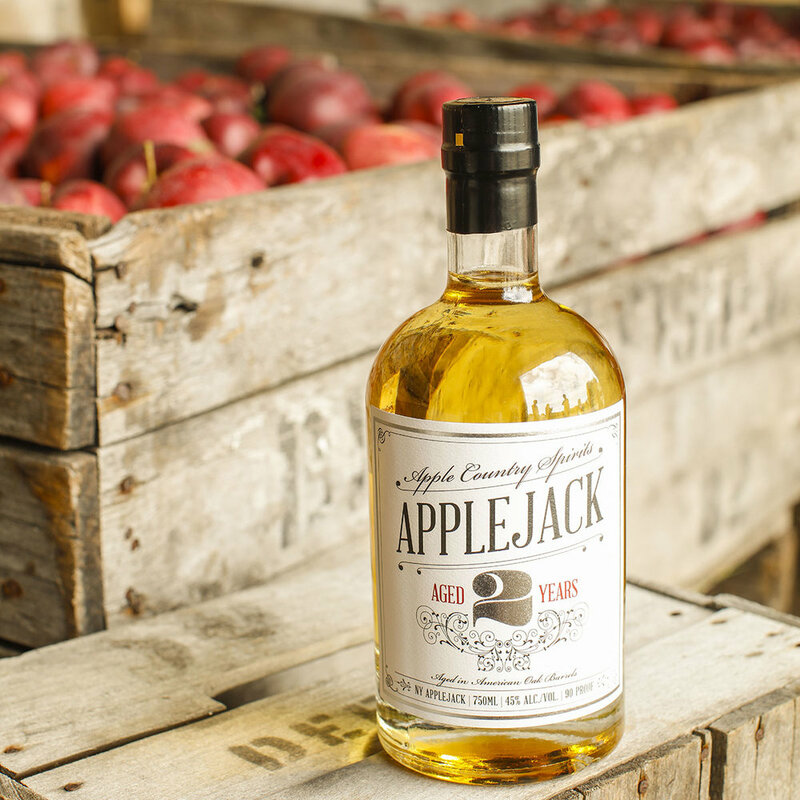 We choose our oldest barrels that had previously been used for Bourbon and then our Applejack. Much of the flavor had been extracted from the wood, allowing the spirit to mature with wood extract. This allowed the spirit to pick up just a hint of honey on the taste, and a pale coloration that is actually reminiscent of the pears it was made from. TREE Vodka is a super premium small batch distilled Vodka. Unlike the vast majority of other competing vodkas, TREE Vodka is crafted from fresh, delicious apples. Being one of the very few Vodkas in the world created from using 100% all natural, gluten free, locally grown NY apples, TREE Vodka has a fresh, slightly sweet taste, and a purity that is unmatched by the mass produced grain based vodkas. Our vodka goes through an extensive 24 plate distillation process. It creates a product that has an incredibly balanced and unique character, one that can only be achieved by using such a premium raw product, fresh apples. At Apple Country Spirits we make it a personal commitment to craft a product that is a shelf above the typical production method. We plant our own fruit trees, grow our own apples, press, and distill the juice here at our own facility.